This classic novel follows the tale of two sisters, one who is quite emotionally reserved and sensible, whereas the other is more outgoing. As with most of Austen's novels, there is a lot of romance and struggling relationships. I'm not a huge fan of romance books but I read Pride and Prejudice a while ago and really enjoyed it. I love Austen's classics because they are easy to read and understand, despite their age and they never seem to commit to stereotypes of that period. The writing and characters are what I find most enticing about all of the books of hers that I have read. This one I hadn't heard much about but still decided to give it a try. Unfortunately I didn't find this one to meet my expectations. The story line was very slow to get into and the more I read, the more repetitive I found it to be. The possibility of marriage and then the disappointment that occurred when it didn't follow through was seen twice with each sister! Whilst the twist involving Willoughby and some others was unexpected, seeing it occur for a second time wasn't as enjoyable. Despite it's faults, I felt that the characters were wonderful (they were the only reason I continued reading the book in honesty!) Marianne was my favourite because she spoke her mind and was more outgoing than her sister. This was encouraging and is something I love seeing in Austen's novels because she ensures that her characters stray from the path society had set during that time. 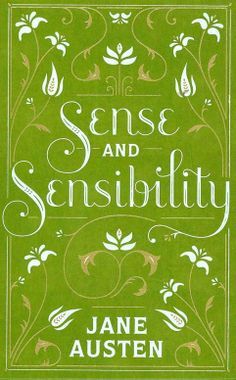 Overall, I didn't feel this book to be one of Jane Austen's best works. I have taken into consideration that this was her first novel, and therefore it's not likely to be as excellent as her next books, however I still felt that it was only worthy of two stars.